It was a freebie from some golf thing Spouse Phor went to for work. 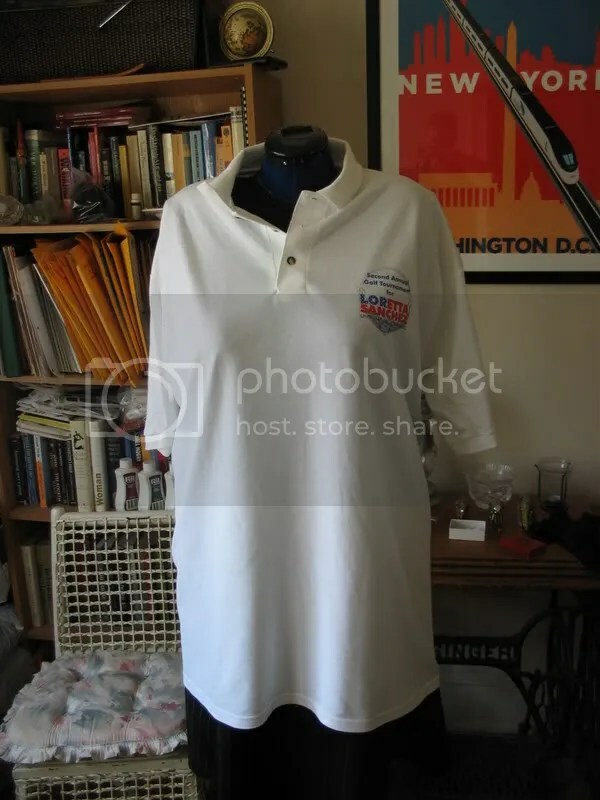 It’s a men’s XXXL cotton knit t-shirt with a polo neck. Waaay to huge for him to ever wear. Now, I wear cotton knit tanks constantly. Like they are going out of style. I must have four or five in black, at least, but a couple are getting a bit ratty and overwashed, so it’s time to add a few new ones. I figured this would make a great practice fabric for pattern-making. I’ll throw together a pattern, see if it works out, and if it does, I’ve got a great easy pattern for knit tank tops. You can see that I folded it half. Because knits are stretchy, if I’d have spread it out and traced both sides independently, there would have been a decent chance that the sides wouldn’t match. By folding it in half, I get a pattern that can be placed on the fabric fold line and the left and right sides will match. I traced around the back half of the top — the front neckline is slightly lower, but happily, the back and front sides of the pattern are identical. 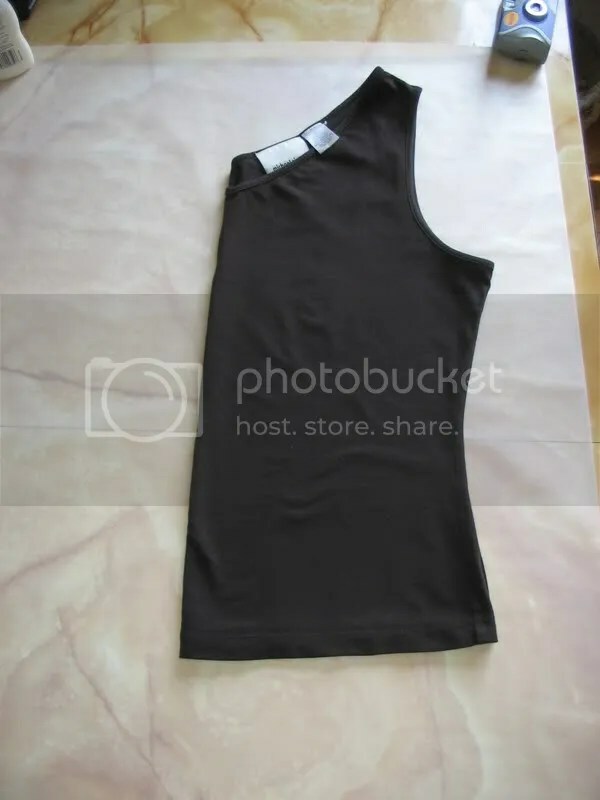 So now I have a basic tank top pattern, without seam allowances. The next thing I wanted to do was play around with the necklines a little. I drew another copy of this pattern, and shifted the neckline up — this, with seam allowances added, is now my back pattern piece. On the front piece, I wanted to draft a cowl neckline. 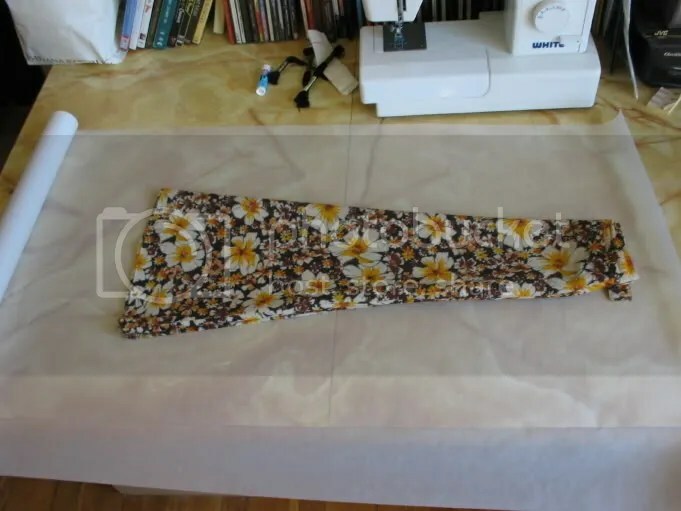 To do this, you need to spread the shoulder points out to give you excess fabric for the cowl. I then cut around the curve. 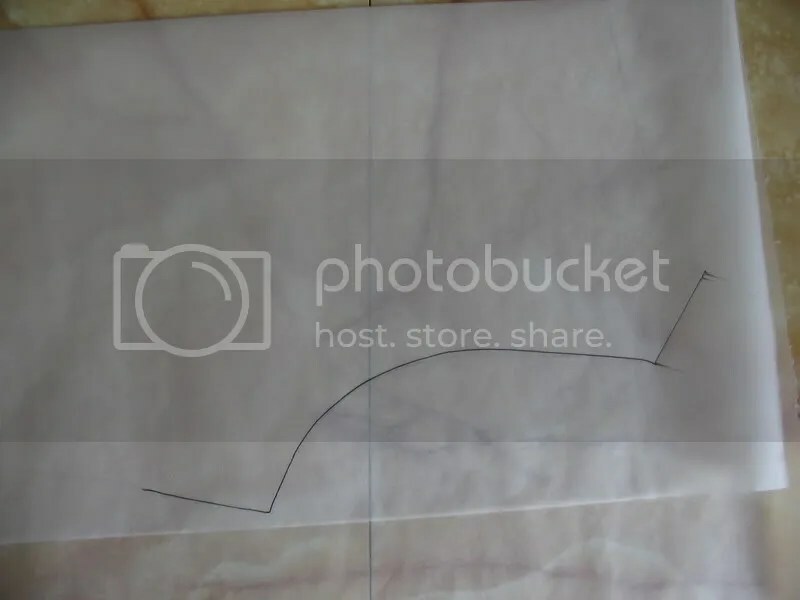 I took this curve and laid it on top of my original pattern piece. Using the armpit as a point of origin, I pivoted the curve outwards. I probably shifted it so that the new shoulder seam was about 2.5 inches away from the original seam. 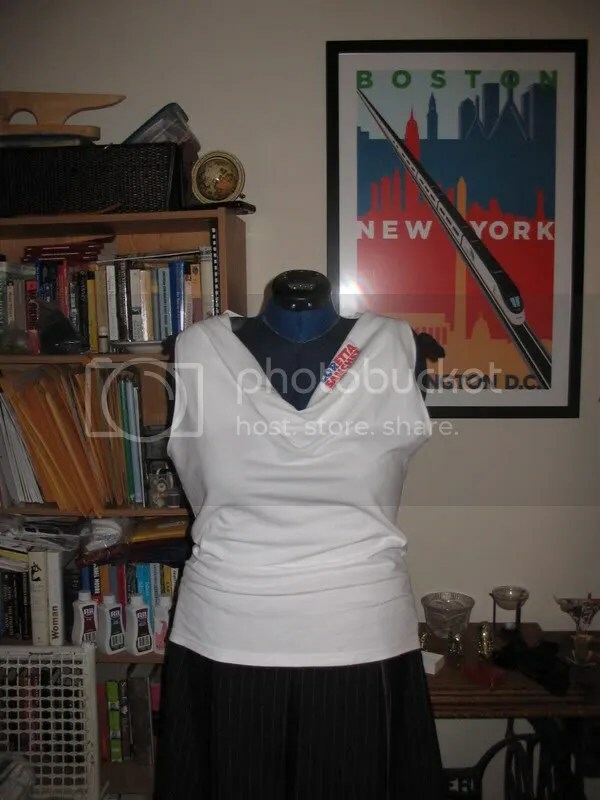 It took me a few tries on the fabric until I got this just so — I basted in the side seams and chalked in the armscyes, then hand basted the shoulder seams on the back and front until I had it the way I wanted it. Once I’d figured the pattern the way I liked it, I added the seam allowances to the paper piece. Because I was futzing around with the fabric *before* I’d properly cut my pattern, I ended up with the original logo of the shirt sitting. right. there. On my shoulder. It says “Loretta Sanchez for Congress”. I have nothing against Congresswoman Sanchez, but I’m not sure I want to wear that over my heart, yanno? You are currently browsing the archives for the copying RTW category.